Peterhead midfielder Kevin Dzierzawski admits Sunday’s cup final against Rangers was always going to be incredible – but the fact his dad is making the 3,500 mile trip from America has made it even more special. 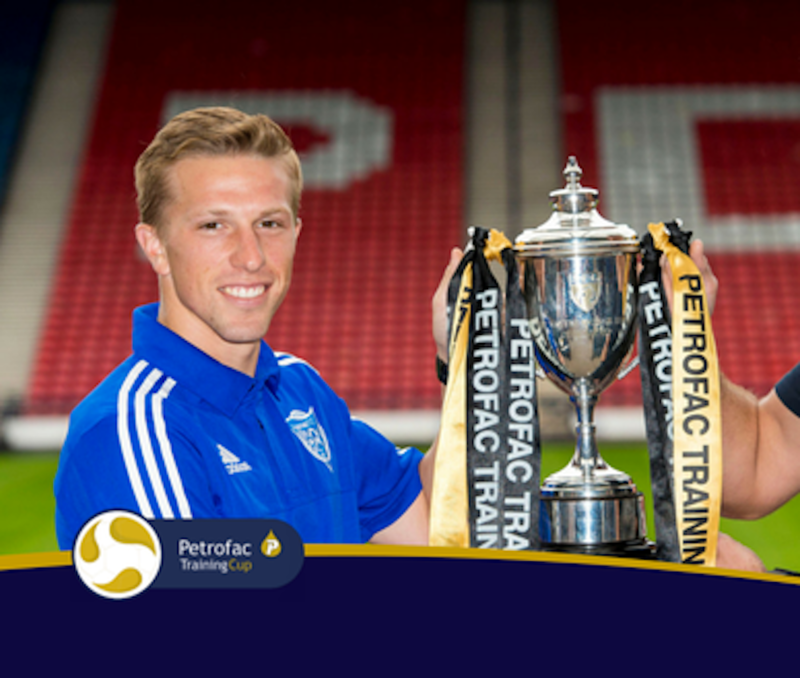 The 24-year-old is thrilled father Randy will share the experience of the Petrofac Training Cup final with him as over 50,000 fans get ready to descend on Hampden. Dzierzawski made the switch across the Atlantic in 2013 when he joined Queen of the South and has played his part in the Blue Toon’s march to the national stadium after moving to Balmoor on a permanent deal last summer. His commitments with the ambitious League One side mean the playmaker struggles to get home to see his family in the suburbs of Detroit but Dzierzawski is looking forward to welcoming his dad for the weekend. He said: “Everyone is extremely excited and looking forward to such a big game for ourselves, but more so for the club. “It’s going to be something that none of us will forget. People don’t get the opportunity to play in games like this that often and with it being at Hampden, the national stadium, against Rangers in front of a potential sell out crowd is unbelievable. “I’m also fortunate I’ve got my dad coming over for it and it’s going to be great to be able to share that experience with him. “He’s coming over Saturday morning and then flies back on the Monday morning. “It’s going to be a great experience anyway, but to share it with family and people that you love is even better. “My dad has done so much for me during my career and he’ll be delighted to see the game. “He and my mum used to drive me around when I was younger playing football. “Even when I was playing with Dartmouth College, my dad used to come to our games every other week and that was about a 12 hour drive. Peterhead’s League One play-off push has been dented by back-to-back losses to Cowdenbeath and Forfar but Dzierzawski insists they are capable of causing a huge shock against the newly crowned Championship winners. He added: “Absoultey, we can do it. There’s no reason why we can’t do it. “It’s something that everyone within the club believes we can do and there’s a reason we’ve made it this far. “I don’t think we’re overly concerned by our form in the last two games. “We know how good a team we are and hopefully we can show it on Sunday. “It’s obviously going to be a difficult game but we have to make sure we’re all switched on and focused. “It definitely will be the biggest game that I’ve played in. “I played against Rangers when at I was at Queen of the South but this is a bit different.